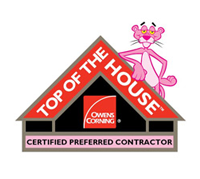 A new roof is one of the most important improvements you can ever make to your home. Not only will a brand new roof perform better than your previous one, but it can also improves the overall appearance of your home. Additionally, adding a new roof to your home significantly increases its value. While a new roof is certainly a large and important purchase, it is one that is truly worthwhile, as roofs are made to provide longevity and will keep your home looking and performing at its best. If you’re experiencing leaks in your home, you may be able to get the roof repaired. However, it’s important to recognize that repairs typically act as a bandaid, and will only last for a short period of time. Unfortunately, a leaking roof is almost always a clear indication of the need for a new roof, oftentimes sooner rather than later. The process of a roof replacement from Eagle Watch Roofing begins with the removal of your existing roof. Our expert Newnan roofing contractors will remove the old roof and dispose of it, which is also known as a tear-off. Unlike most roofing companies in North Georgia, Eagle Watch never suggests installing a new roof over an existing one, as this is known to cause more harm to the home and almost always fails to provide an adequate repair. Once your existing roof has been removed, your new roof will be immediately installed by our team of roofing specialists. The underlayment is placed onto the roof, followed by the shingles, which are meticulously designed to keep the rain and other weather conditions from seeping into the structure. A new roof not only functions well, it also improves the look of your home. 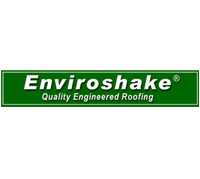 At Eagle Watch, we offer our customers a wide variety of roofing materials and shingle colors/shapes to choose from. Before you make a final choice, we always recommend viewing a nearby residence with the same roofing style already installed, as this can allow you to see what your home would look like firsthand. Once your new roof has been installed, it will immediately update the appearance of your property. In fact, your home can take on an entirely new and fresh look, making it seem much newer and vibrant. A roofing contractor from Eagle Watch Roofing will assist you in choosing the roof that will be the ideal fit for your particular home. Beyond the function and added style, a new roof installation will also significantly boost the resale value of your home. Not only are new roofs more energy efficient and long-lasting, but with the improved look of a brand new roofing system, you’re certain to make your entire neighborhood more appealing as well. Home values are often greatly increased when you make improvements. Should you choose to sell your home, a new roof will give buyers confidence that the property has been properly maintained. When your home is in need of a new roof, don’t delay. 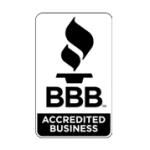 Get an estimate from Eagle Watch Roofing, one of the highest rated Newnan, Georgia roofing contractors in the area. 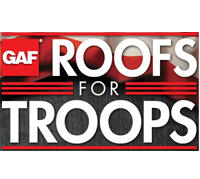 ← What Does The Roof Repair Process Entail?